One year ago I have visited one of the most beautiful cities in the world, Florence. While I was there I went inside the Cathedral of Florence. It's amazing, I recommend it. Anyway, I am not a travel guide so let's get to the point. This article was inspired by the Cathedral of Florence, why? Queues. I was standing a in a queue for ages and it felt extremely inefficient how they have handled the flow of people. We were standing around for a while, then we would move (it felt random when we moved), some people would stop as they would get out of breath, some people would stop to take pictures, some people would get claustrophobic and start walking back, when you finally get to the top, they use same stairs to go up to the roof and to come down. Roof would also not be jam packed it seemed actually a bit empty. The whole experience just felt extremely inefficient. This is often how software delivery feels like, inefficient and random. 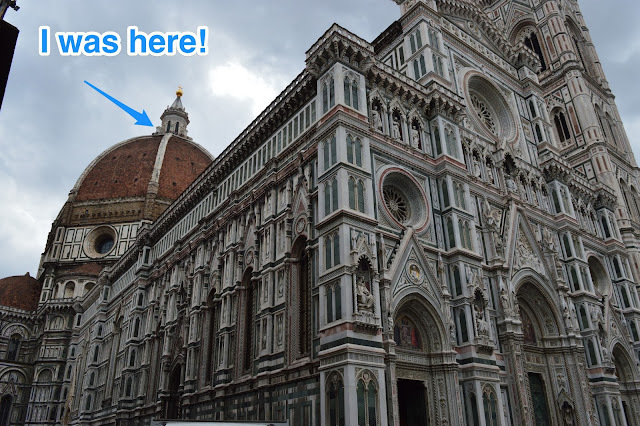 In this article I am going to simulate my experience in the Cathedral of Florence and hopefully convince you that all we need to do is get back to the first principles of good throughput i.e. removing interlocks to zero and reducing wait times. Simulation was simplified for my and the audience benefit, ball in the queue can either move forward or just stand around. Ball in the queue can't move forward if there is a ball in front of it. If queue is full ball will not be added to the queue. These rules will keep our simulation simple. Everyone walking at same speed but stopping randomly. Everyone walking at random speed and stoping randomly. Everyone walks at the same speed and doesn't stop as there is no need to stop. Everyone walks and stops together at the same speed. In this case, simulation 4, batch sequential flow is the most practical flow, and this is exactly how they control Leaning Tower of Pisa queue flow. How can we apply this to software engineering? When you look around the office, look at your Kanban board. How does the flow feel like? What do figures say? In software engineering you can get a lot of unexpected work thrown your way, you might be waiting for another team member to complete something, noise, interruptions, context switching, need to pick up old project to fix some bugs, versions, might be impeded due to build, lack of information, etc. This is all creates wait times and interlocks. Your productivity goes down hill, you are in the office 100% of the time, everyone might be working super hard, but in reality you are being only 17%-19% effective. This is a very scary number. Often managers will not dive deeper and try to create better environment for productivity / effectiveness, instead they just try to hire more people, which just compounds the problem. This is exactly why I believe that small independent teams with just few people can take on big companies, they have less interlocks and wait times. Browse "Throughput Simulator" Repository On Github. We should be striving towards single piece of flow, it's the most efficient flow. All you need to do is reduce wait times down to zero and remove all interlocks.